The City of Provo used to completely fund the Miss Provo scholarship pageant, which is part of the Miss Utah and Miss America program. In 2010 the City cut the funding significantly and only fund the parade float. This funding has been part of the Mayor's budget. Pageant organizers requested that the City Council fund the entire cost of the program, roughly $21,000. Council Members voted 4-3 to approve moving the funding to be in the Council's budget and oversee the program. Discussed a recommendation from the Budget Committee on 2016-17 budget preparation guidelines. These were sent back to the Budget Committee for additional work. Continued their discussion on Community Development fees. Council staff will prepare an ordinance with changes to the fees as discussed and present it at the next work meeting. Heard a presentation from Soren Schmidt (intern for Dave Harding) on citizen access to and participation in the policy-making process. Council Members Harding and Sewell will meet with Council staff and report at May 17 Work Meeting. Heard a presentation on an ordinance amendment to specific Provo City Code sections in order to clarify code and update planning application submittal requirements. This will be formally heard at the May 3 Council Meeting. Heard a request by Ivory Homes for an ordinance amendment regarding the setback allowance in side yards in single-family residential areas in the Lakeview North Neighborhood. This will be formally heard at the May 3 Council Meeting. Heard a request by Adam Hall for a zone change from Residential Conservation to Low Density Residential to facilitate a three-lot subdivision for a property in the North Park Neighborhood. This will be formally heard at the May 3 Council Meeting. Heard a request by Brian Dabb on an ordinance text amendment to allow six-foot, solid fencing within the front setback in residential zones. This will be formally heard at the May 3 Council Meeting. 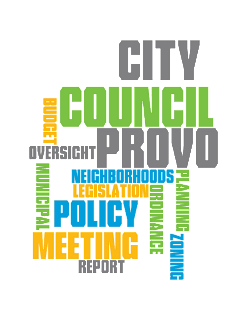 Council Members considered a lease agreement with the Utah Transit Authority (UTA) pertaining to various Provo City streets for use by the Bus Rapid Transit (BRT) project as well as an interlocal cooperation agreement that establishes governance of the Provo-Orem Transportation Improvement Project (TRIP). Late changes to the lease agreement led to several Council Members asking to continue the item so they could have time to study the document. UTA presented information on the latest design elements of the project and updated details. Provo's Chief Administrative Officer, Wayne Parker, gave information on Provo's involvement in the BRT project and the interlocal agreement which brings the six entities involved together in making key decisions rather than leaving it up to UTA. An overflow crowd of people were there because of the interest in this project and 36 of them came forward to give their comments on it. After a lengthy discussion, Council Members voted 5-2 to continue this item to a special session to be held on April 26 at 5:30 pm. 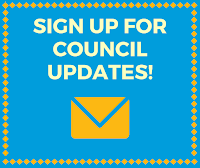 No further public comment will be held for this but citizens are welcome to contact their Council Members directly with any input. Deon Turley, Grandview South Neighborhood Chair, shared information about the diversity of her neighborhood. Almost entirely residential, the area was originally full of orchards. They are currently experiencing some road construction frustration but they know it will bring improvements to their "grand view." Held public hearings on the draft 2016-17 Annual Action Plan to be submitted to the Department of Housing and Urban Development as well as 2016-17 funding for Community Development Block Grant and HOME programs. Resolutions for both programs were passed unanimously. Continued, due to the need for appropriate public notice, a Redevelopment Agency resolution authorizing the appropriation of funds for the payment of remediation costs on a property once owned by the RDA. Held a public hearing on an ordinance amending the Zone Map Classification of 6.2 acres of property in Lakeview North Neighborhood from One-Family Residential to Low Density Residential. The amendment was approved with changes.